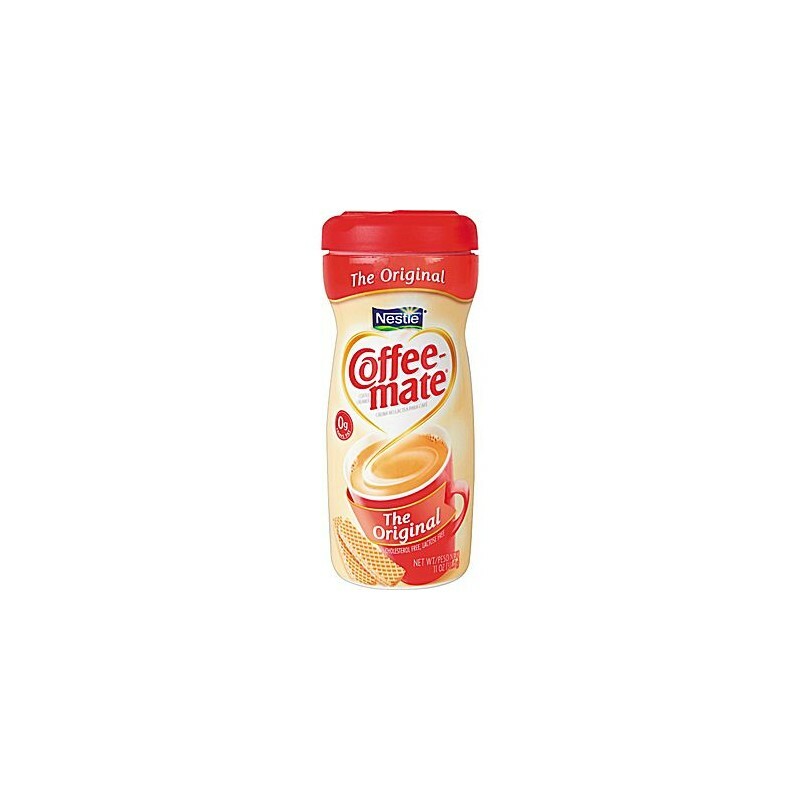 Coffee-Mate Creamer Canisters, 11-oz. 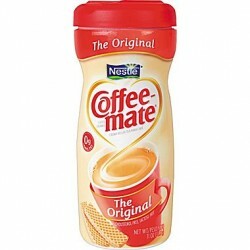 - Metro Supply & Equipment Co.
> Food Products>Coffee Products>Coffee-Mate Creamer Canisters, 11-oz. 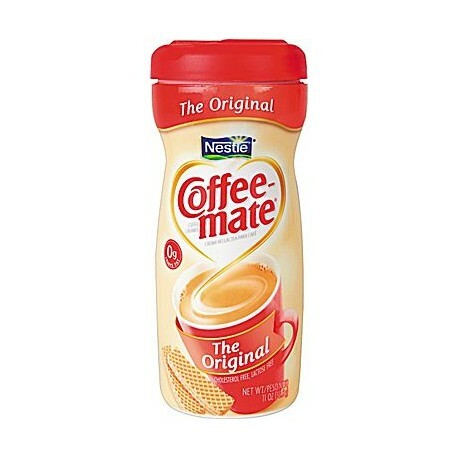 Coffee-Mate Creamer Canisters. All of the classic and rich creamy flavor to whiten coffee beverages, now with 50% less fat than Original. With no refrigeration necessary and the longest shelf life at two years, Coffee-mate powdered creamer canisters have a unique flip top design for a convenient easy pour, helping the flow of traffic at your coffee station. This non-dairy creamer makes a perfect cup every time. 12 canisters per case. 11-oz. canister.